In My Words 2: Marketing Now and Then – Cats, Chocolate + Commas. The first marketing aspect I will be discussing is direction of communication. 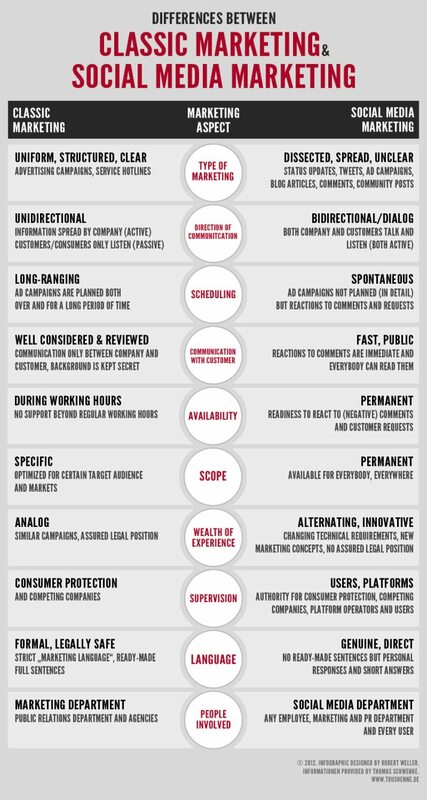 The classic marketing technique was simply one-way communication or unidirectional: A company would actively send a message to consumers who would passively receive it. Now the process is much more fluid and of a dialogue that takes place between consumer and producer; it is bidirectional. A company can send a message to consumers and receive feedback from them. This isn’t to say feedback didn’t happen in the classic communication model, but it wouldn’t have been public as it probably would have been in the form of a letter, phone call, or face-to-face conversation. Thus, communication was still one way. With the rise of companies’ use of social media, this feedback can take place on a public forum for other consumers and prospective customers to see. Therefore the process has become much more transparent. If a company doesn’t respond to a customer, it looks bad. 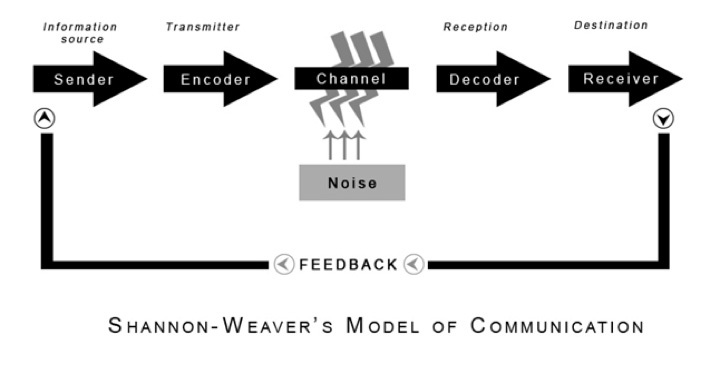 As you can see from the Shannon-Weaver Model of Communication below, social media marketing allows for the feedback loop whereas early communication scholars believed that communication was one way, the audience was a sponge, passively receiving media messages and not interpreting them (Croteau, Hoynes & Milan, 2011). In the model, which also incorporates Stuart Hall’s encoding-decoding process, the producer encodes a message with its intended meaning and then the audience can decode the message either in the way the sender intended or yield a completely different message. In my discussion post this week, I talked a little bit about the prosumer — this idea was first used in the communications field by Marshall McLuhan and Barrington Nevitt (1972) and the term was coined by futurologist Toffer (1980). It refers to the fusion of the consumer and producer. Since communication has become a conversation, consumers now have the ability to influence the production process. They can tell the company how to improve a product, suggest a new product that would meet their needs, etc. In this aspect, I would say social media marketing is much more effective than the classic model because these platforms foster a symbiotic relationship between the consumer and company where both parties’ needs are being addressed and fulfilled. We see that not everyone likes our new ad, and please know that we certainly didn’t mean to offend anyone! Our fans and their voices are at the heart of our new advertising campaign, but we know we don’t always get it right. We’ve removed the image and will share a newer ad with our fans soon! We apologize that fans have felt like their posts are being deleted and while we never intend to pull anyone’s comments off our wall, we do comply with Facebook guidelines and remove posts that use foul language, have repetitive messaging, those that are considered spam-like (multiple posts from a person within a short period of time) and are menacing to fans and employees. The second graf was totally unnecessary, angered users and contained “legally safe” language found in the classic model. Social media marketing language should be personal and genuine as the infographic suggests, and definitely not place the blame on the consumer as ChapStick did. I think users have generally responded better to quick, personalized messages, yet language should still be professional. If a company has grammatical errors in posts or types poorly, “pLz LiKe u$ oN fB,” it would be a turnoff for me and many prospective customers. While mainly social media marketing language works best, professionalism, which harkens back to the classic model, still needs to exist.